The fundamental reason why animals—including humans—have a brain is so they can perform adaptable movement within complex environments and situations. Not surprisingly, adaptability is a core principle of Natural Movement and its practice. However, this principle is notably missing from the vast majority of modern fitness methods. With regard to movement, what do we have to adapt to? To constantly changing context, including diverse environmental variables and changing situational demands. 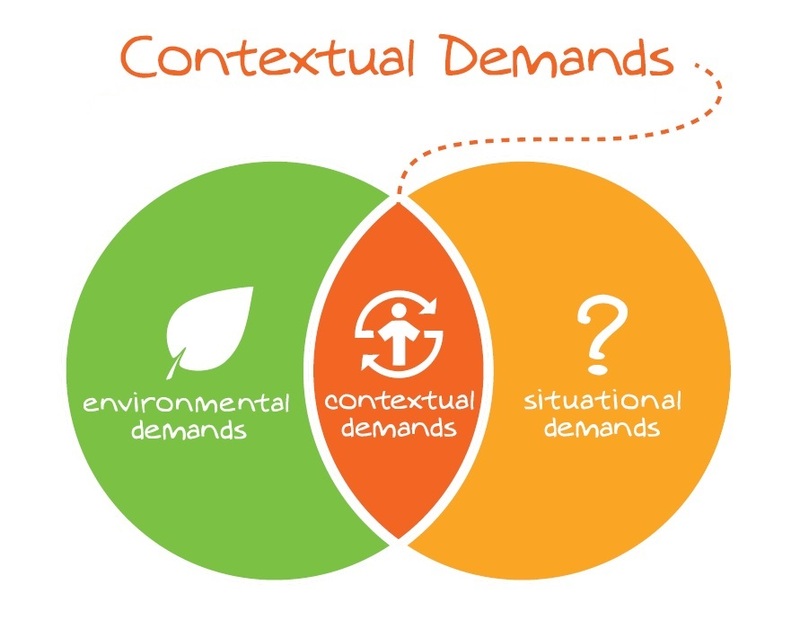 A context is primarily a combination of an environment and a situation. Adaptability is your ability to respond, through your movement and physical effort, to contextual demands that are either chosen by you or placed upon you. It is important to understand the difference between environmental variables and situational ones. Natural Movement inherently adapts to your direct environment and its specific parameters (muddy, icy, wet, dry, cold, hot, slippery, flat, inclined, narrow, unstable, and so on), as well as adapting to the situation you are dealing with (usual or unusual, safe or dangerous, predictable or unpredictable, urgent or insignificant, short or long duration, intentional or accidental). Imagine you’re running on flat surfaces but those surfaces alternate between being soft and hard. Your gait will have to go through minute adjustments to remain as efficient as possible on both surfaces because the environmental variables are changing over distance. What about if you’re running to the top of a hill and then running back down? Though the environment itself remains the same, your direction, orientation, position, and movement interaction with the environment is nonetheless modified. You are adapting to it. Situations are also part of the context we must adapt to. A situation is not necessarily something unexpected, challenging, or even unique. For example, right now you might be casually sitting and reading. This situation implies that you’ll be holding a particular position for some time, and although it doesn’t seem to be anything special you have to adapt to. During the day you could be working, relaxing, going through a routine, dealing with problems, having a party, doing the same old thing, or trying something new. You might be doing something you’ve chosen to do or something that’s been forced on you and you must react to. Depending on the case, you might have to remain idle or move intensely; you might have to be physically active for only seconds or a whole day. You might have a clear and simple path in mind or have to use snap judgment and make hard decisions. Maybe your context today is to stay in an office and sit for many hours. Maybe it is to be in the woods and hike for hours. Those are two significantly different contexts. You will have to adapt to one or the other both from a movement perspective, a physiological perspective and a psychological perspective. You could find yourself in a natural environment yet decide to just sit there if the situation does not demand movement from you. In this case, the situation is defined by your own decision to stay idle. However, if a predator lurks nearby, or if hunger, cold, or nasty bugs start to overwhelm you, the situation will change, and you might be forced to move because of a situational demand. The environment is where you move, and it influences how you move. The situation is either what you choose to do or what happens to you. It’s also how you choose to respond to what happens to you, and it influences how you should perform. Say you are going on an easy and relaxed hour-long hike on your favorite trail. The weather as you start is gorgeous, but it suddenly changes dramatically, soaking you in a cold rain and making the trail muddy, slippery, and difficult. The hike ends up lasting several hours. The sudden weather change causes a radical modification in the environmental demands, which affect your gait and overall physical effort. 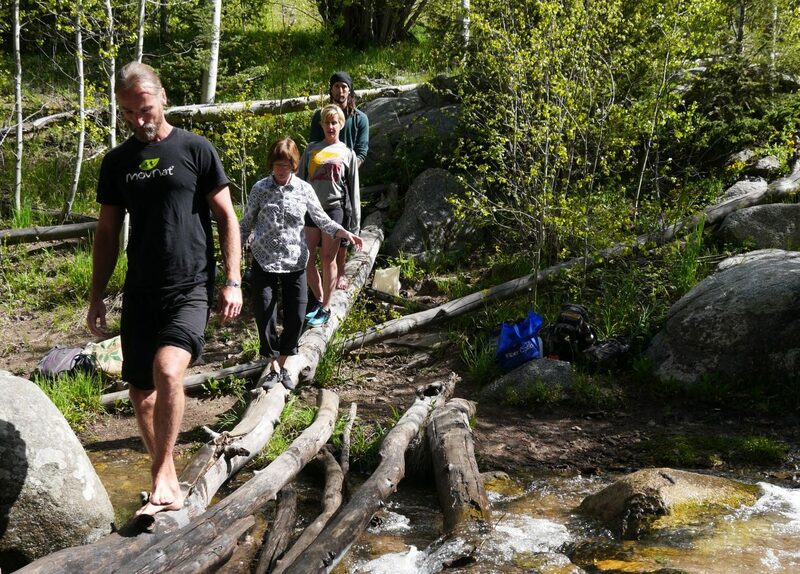 On a different day, the gorgeous weather might not change, but an unusual event could happen, which forces you to swiftly run, jump, crawl, and climb to the best of your ability to get back to the trailhead. Instead of merely hiking, your physical experience turns into an intense, prolonged, and exhausting “obstacle course.” In both cases, even though the trail is very familiar to you, you have a completely different experience because the context radically changes due to an environmental or a situational change. You can’t predict what will happen. The point is, are you ready for whatever comes? How adaptable are you? How much difficulty can you handle before you reach the limits of your capability and how much complexity can you handle before you reach the limits of your adaptability? You will realize that levels of adaptability are the true measure of capability. Let’s use a concrete example of an individual who’s fit enough by conventional standards to sprint really fast on an athletic track. This person is trained for sprinting—in short, the person is adapted to this movement and effort. Now the same person is forced to run for miles on a rocky terrain, and because she is not trained for such terrains, distance, and duration, she might get fatigued rapidly and might become injured with a twisted ankle. Despite a specific adaptation to running, the running capability of this individual is tremendously reduced by over-specialization in environment, movement pattern, and physiological effort, which means she has low adaptability when exposed to unusual types of challenges and stresses in running. So, being adapted and being adaptable are not the same. The biggest disservice ever done to physical training was removing natural environmental variables and demands. People doing movement patterns in isolation from environmental demands are like goldfish in a bowl—going in circles, bored, living a useless life. The more diverse the contextual demands you subject yourself to, the more varied the adaptations and the more adaptable you become. Linear, predictable exercise programs performed in perfectly-controlled environments (e.g. 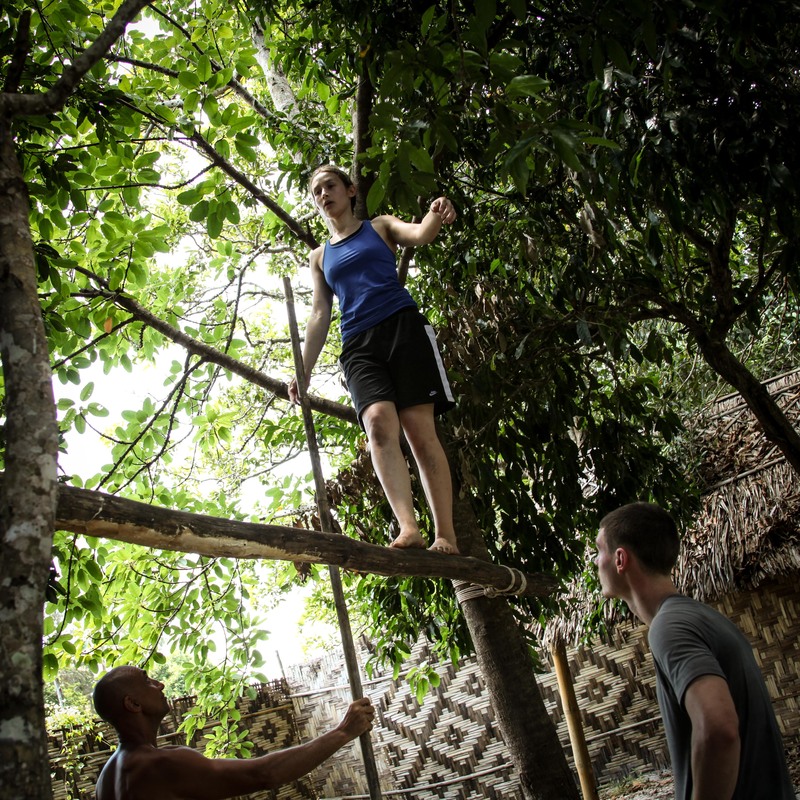 gyms) may improve strength and conditioning, but they do so at the expense of adaptability. Don’t get me wrong, strength and metabolic conditioning are extremely valuable, but without adaptable movement skills to operate them, physical training remains specialized and leads to deficiencies. Although focusing on specific adaptations is understandable from a highly specialized athletic perspective, real-world capability depends on a much greater diversity of skills and adaptations. In Natural Movement, “perfect form” is that which adapts the best to context, not that which conforms the best to convention. Under traditional fitness practice and theory, reaching “perfect form” starts with controlling the context by first restricting environmental variables as much as possible and then by imposing a situation where only predefined positions or movements are allowed. An example is an exercise machine that mechanically dictates the exact movement pattern your body can follow. Another example is a tradition that conventionally dictates the exact position your body must assume. In any case, your body is either mentally or physically forced to conform to a certain behavior. Conformism and adaptability are radically opposing notions, and a “natural” approach to physical exercise that avoids adaptable movement interaction with nature is not actually natural at all. From a MovNat standpoint, movement is either technically efficient or inefficient, but ultimately it is the form that adapts best with your direct environment or the situation at hand that matters the most. 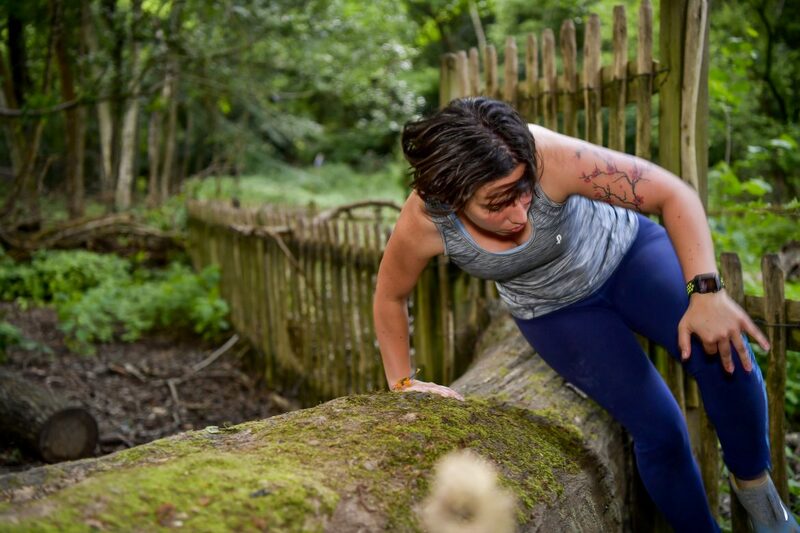 Whereas efficient running technique normally implies, among other criteria, a straight back, you’d still better round it and lean forward to avoid running into a low-hanging branch, right? That’s adaptability. If instead you were to prioritize the dogma of perfect form over pragmatism and adaptability, you would bang your face into that low-hanging branch. The naturalness of your movement behavior primarily lies in your movements’ practicality and adaptability to the environment rather than in the naturalness or artificiality of the environment where you perform them. Machines and conventions do not breed adaptability; they restrict it. Variety in physical training may imply ten or twenty different exercises, maybe more. Variety in Natural Movement implies dozens of techniques and several hundred movement variations. However, variety alone isn’t enough: Natural Movement involves near constant variability in the way those movements are done in terms of intensity and volume, the way they are combined and transition from one to another, and environmental complexity (surfaces, shapes, angles, distances). Including variety and variability isn’t a random thing; you can determine both with precision and follow a customized pattern until you’ve achieved the desired progress or gain, which is exactly what is taught in the MovNat curriculum. We have seen how the evolutionary mismatch between the lifeways and conditions of our ancestors and modern humans is affecting us, and that includes our movement and physiological adaptability, both of which have shrunk considerably. Modern culture, which promotes efficient management of pretty much everything in our lives, ends up regulating and standardizing most aspects of our day-to-day environments, and that tends to make our behaviors within such environments more homogeneous, global, and inherently predictable. Without antibiotics antibacterials, we tend to automatize our mental or physical behaviors to turn them into routines we can then optimize. Change becomes our enemy, and the deviation from what we’ve accustomed ourselves to expect becomes an unwelcome challenge that we must avoid by suppressing undesired variables. This is very paradoxical of the era of abundant choice we live in. As your adaptability and comfort zone shrink, your freedom in life also shrinks. Because you can adapt to fewer variables, you can do less and will be less daring. You become less open to imagination and opportunities because you have become unable to handle the challenges they represent. Instead, you prefer to remain confined to the safe limits of your self-imposed, controlled routines, habits, and day-to-day context. Becoming less adaptable means you become less robust and more fragile. This statement applies to movement practice, physical training, and the way you live your life. Start thinking outside of the box when you think about movement. Routines that cease to evolve are dead-ends, and the only way out is to go outside your comfort zone. Ancient Greek philosopher Archilochus once said, “We don’t rise to the level of our expectations, we fall to the level of our training.” So, the closer your training is to the kind of challenges you might encounter in the real world, the greater the chance that you’ll be successful in those challenges. Knowing the incredible variety of contextual demands in the real world, you must make sure your physical practice addresses movement adaptability. So, move in environments that encourage you to engage complex and adaptive motor skills. If you don’t have a challenging situation happening to you, simulate one. Such environments and situations can even be reproduced within controlled environments to provide the necessary scalability that will ensure you safely progress to the next levels of challenge. 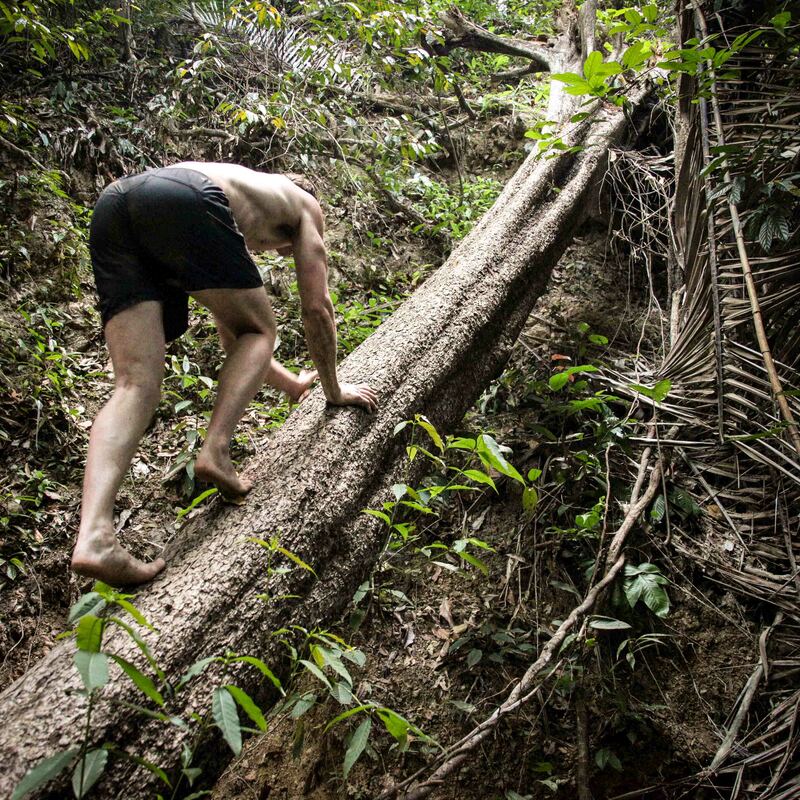 The increased ability to deal effectively with environmental and situational variety, complexity, and difficulty you gain through Natural Movement practice will unlock your true human fitness, and it will carry over to all areas of your life in the form of greater self-confidence, resourcefulness, and creativity. Although you might never master your environment, you can learn to master how you move through it. You have to understand that adaptability to environmental variety involves more than movement; it also has a physiological aspect, including adapting to changing weather conditions. Introducing Natural Movement to your daily routine might at first be a big step out of your comfort zone, but you will rapidly realize that it is a huge step toward a significantly greater comfort zone in your body and life. 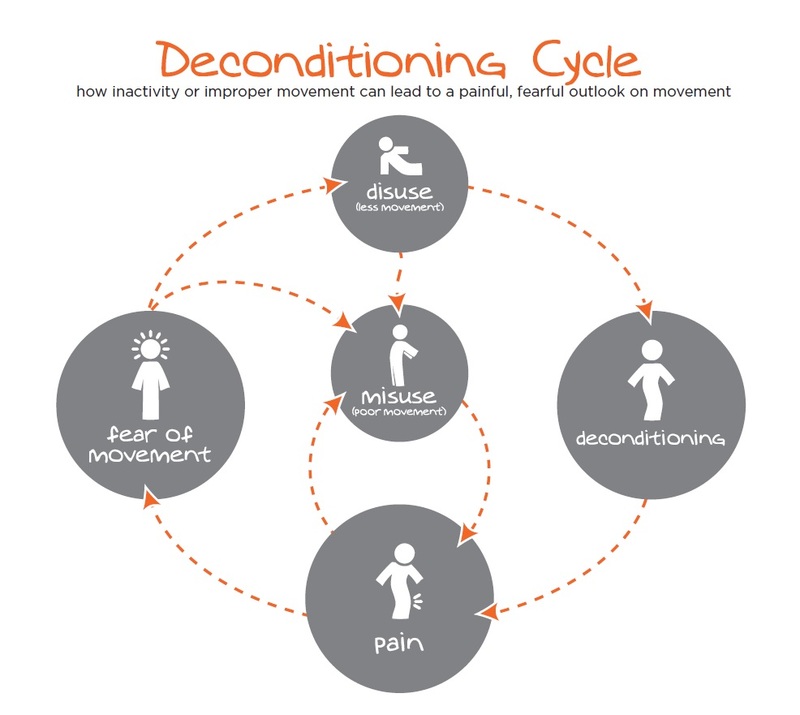 The more technologically comfortable and convenient our day-to-day lives become, the more we need to reclaim the value and ability of physical and physiological adaptability through strategic lifestyle practice involving progressive discomfort and efforts, which starts with Natural Movement training. Movement adaptability is both the greatest demand and the greatest reward. Adaptable movement is the “holy grail” of Natural Movement.